Failure to follow procedure can lead to incidents and accidents related to both flight operations and maintenance procedures. In aviation it is very important that procedures are adhere accurately and constantly by pilots, ground crews, engineers and even cabin crews. These procedures are written to ensure that proper operation is conducted, thus guiding error proned human being from doing the wrong steps. However, over time people get use to the step and tend to skip procedures or purely conduct operation by the weakness of human memories. The pilot vacated the aircraft leaving the controls unattended in order to discuss the job with the landowner. The helicopter became airborne and rotated 180 degrees before landing on its skids, damaging the main rotor blades and tail boom. The aircraft flight manual contains a caution to never leave the helicopter flight controls unattended while the engine is running. The helicopter was left unattended without friction or collective lock applied. The pilot heard the rpm increase but was too late to prevent liftoff and rollover. The pilot vacated the helicopter, leaving the engine running. The collective moved up and the helicopter took off, turned 360 degrees, and went 10 feet into the air before settling in some pine trees. The helicopter was left idling while the pilot assisted his shooter to gut a number of deer. 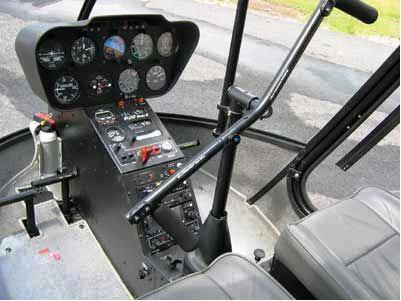 The pilot had applied carburettor heat, collective and cyclic frictions, and reduced rpm to a low idle. After about four minutes, the pilot heard the rpm increasing and when he looked round, saw the helicopter lift off and turn through 360 degrees. 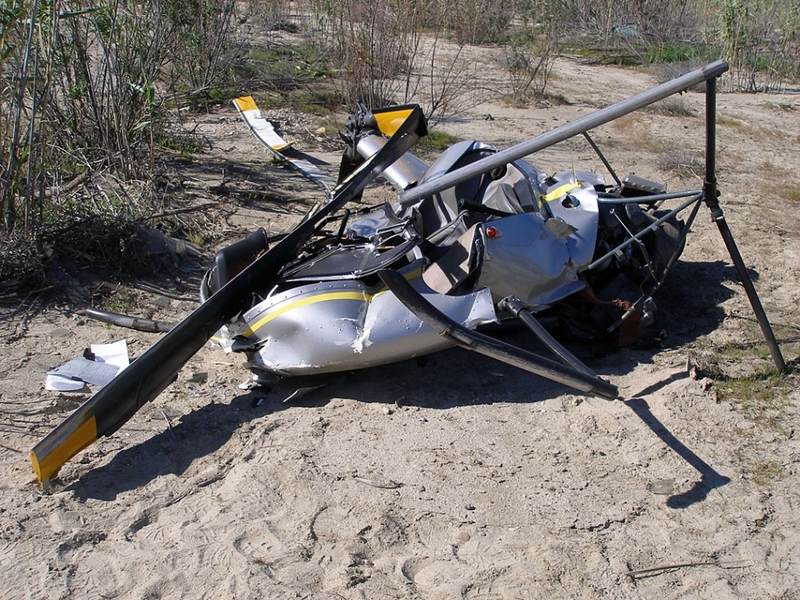 He attempted to catch it but was unable to do so before the main rotor struck a log and the machine came to rest on the heels of the skids and the tail section. The pilot then shut the engine down, noting that the collective friction had backed off to between half and three-quarters and that the lever had ridden fully up. He was of the opinion that the idling vibration level had been exacerbated by the nature of the surface (stony sand) on which the helicopter was parked, causing the friction to back off. He said later that he had a collective clip available, and in hindsight he should have applied it. Pilots leave their helicopters running primarily to save time. Many believe it can be done safely, and after doing it for years with no consequences it becomes a habit. Complacency pushes aside the very real possibility of the helicopter taking off without them. When a helicopter is on the ground a friction lock, and/or similar device, is applied to the collective to stop it being raised. If the friction lock is faulty,and the collective vibrates up, it will increase the pitch on the blades. The governor will then increase the power by a corresponding amount. If there is enough weight in the helicopter, this in itself would not be enough for it to become airborne, but sometimes the reduction in weight from the pilot getting out can mean there is just enough power applied to get the helicopter airborne. Remember – uncommanded fly-aways do happen, and you are taking a calculated risk every time you decide to leave a helicopter when it is running.